Small businesses can now go some way towards protecting valuable files and data by deploying WatchGuard's gateway Data Loss Prevention (DLP) solution. Allowing your confidential customer or business information to fall into the wrong hands exposes your company to both competitors and malicious users. Whether it happens on purpose or accidentally, a data breach can mean costly fines and a tarnished reputation. 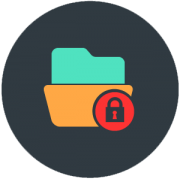 DLP allows your WatchGuard to scan text and content for sensitive information and includes predefined libraries of over 200 rules for compliancy in 18+ countries.